Music grows and changes every year, and with this new era of the digital age, our general idea of what “good” music is has definitely changed. If you take a look back in time at what was popular in the 1970s, 80s, 90s, and even the 2000s, it’s without a doubt different from what is mainstream now. Music used to be raw and authentic, auto tune wasn’t an option and artists were more focused on their lyric rather than what would get them the most hits on YouTube because… it didn’t exist! Social change was big in some of these time periods, especially the 1970s. Some of the most popular musical groups in that time were Led Zeppelin, Fleetwood Mac, Pink Floyd, and more. If you listen to their songs, the topics they were talking about were much different than what you normally hear nowadays on the KISS 95.7 top song countdown. Personally, I love all music and I find almost every song enjoyable, just in different ways. With the opioid epidemic of this generation, many popular songs mention harmful drugs and even encourage people to take them and act like it’s something that is cool or normal. As much as I love hip hop and rap, a lot of the influential artists in that genre are starting to normalise things like using codeine or referring to women with derogatory terms. I’ve always loved dancing to their music at parties and listening to it when I go out with friends, but I don’t always necessarily agree with the message they put out to people through it. Especially in the era that youth is growing up in now, we need some positivity and light. With mass shootings, drug overdoses, and suicides happening way too frequently, this generation is constantly facing death and negativity. 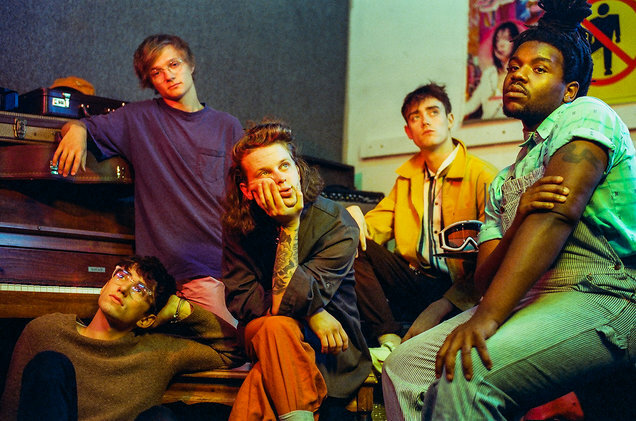 Which is one of the reasons why I believe the members of Hippo Campus are some of the best creators of this generation: they have a good message. The band grew up making music in St. Paul, Minnesota where they came together and formed Hippo Campus in 2013. After local performances and a television appearance on Conan, they’ve since risen to the top of their genre with the release of their debut album titled “Landmark”. I thought the record was more introspective than their previous singles and EPs, and it left me and many other supporters in awe. It touched on topics like anxiety and more personal experiences that the members went through, but they used general yet intricate lyrics so it tugged at the listeners hearts. Not only were there slower and more pensive songs, but they still stuck to their roots and had upbeat and mood lifting songs. In my opinion, the most downloaded song on the album, “Way It Goes” is about loving life the way it is and learning to appreciate the little things, even if you’re going through a lot. It has a really positive message and encourages their listeners to have the strength to keep going because there are so many beautiful things in this world. Even people in our school have found comfort in them. Esra Eljafarawi, a senior, said, “The first time I listened to Hippo Campus I was on a run at 5am. I hate running and being up early. One of their songs came onto my playlist, and I felt this burst of energy. I felt powerful and invincible, and I felt happy doing something that I didn’t like doing.” Which is why I think they are set apart from a lot of the other musicians in this generation, nothing beats making good sounding music that helps people. Not only do they put out music with lyric that is uplifting and relatable, but all their music is made by them directly. They write their own songs, play their own instruments, and spend time working hard on musical content that they are proud of. They take their creative process seriously and want to reach their fullest potential, Jake Luppen, the lead singer and guitarist even said, “Music is the only thing I’ll lay awake at night thinking about”. Popular artists nowadays like Selena Gomez, Ke$ha, Demi Lovato, and Rihanna have had lots of help writing their songs. Infact, one of Rihanna’s biggest hits of her career “Umbrella”, didn’t have one word that was written by her. I still enjoy listening to their music, but as a consumer I have more of a connection to Hippo Campus because of their authenticity and ability to create their own music. They bring something different to the table that most musicians in this time period don’t. So next time you’re looking for something new to listen to, give them a shot.